As the seasons change there always seems to a peculiar trend of people getting sick. Mothers advise their children to bundle up, not to leave the house immediately after taking a shower, and be extra cautious in covering the head and neck if they have wet hair. Although this advice is well known to all moms world wide, children and scientists scratch their heads at its relevance with respect to bacteria, viruses and getting sick in general. In Traditional Chinese Medicine (TCM) the concept of covering the head and neck as a preventative measure against cold and flu is not a new one. Nearly two thousand years ago in China Zhang Zhong-Jing wrote a famous oriental medical textbook. He called it Discussion of Cold-induced Disorders and Miscellaneous Diseases (Shang Han Lun), and it revolved mainly around the use of Chinese herbs in treating the common cold. Legend has it that Zhang lost most of his family to an epidemic of febrile disease and devoted his life to treating such diseases. Since that time TCM has experienced great success and become renowned for its ability in treating the common cold, flu, and similar conditions. Its victory has to do with the nature of the medical paradigm. Whereas Western medicine deals with killing germs and controlling symptoms, TCM aims at helping the body restore its lost balance. This approach uses mainly herbs and foods based on their energetic effects on the body, and thus has a wider scope of treatment than antibiotics, for instance, which have absolutely no effect on the viruses, which are arguably the major cause of cold and flu. Energetic balancing takes into account the internal state of the body in relation to the outside environment. If one is in a state of balance, their resistance to illness will be sufficient to keep them from falling prey to what others may get ill from. We are exposed to viruses and bacteria all the time, but often the people most likely to fall ill are under a lot of stress, eating poorly, sleeping little, neglecting their spiritual wellbeing, or have some other underlying health concerns, and are thus out of balance. As such, Naturopathy sees disease as a terrain problem, or the poor state the body is in, not as an issue of what is attacking the body. If a person is healthy they shouldn’t get sick more than twice a year, again due only to a natural decline in the body’s immunity that has other various benefits, not because a viru was particularly vicious. It’s simply the wrong approach to worry about the latest bacteria flying around in the air or whether you shook the hand of coughing person. Instead, if all we worried about was keeping up our defenses and keeping balanced, our bodies are quite capable of doing the rest themselves. Why are the Chinese so successful at treating the common cold? The Chinese have been effective at preventing and treating colds and flu because they learned how to recognize imbalance and adjust accordingly within the body, which translates strengthening the immune system in Western medical terms. Wei Chi, for instance is the name of the protective layer of energy located under the skin that forms the first line of defense for the body. When it is strong it adequately protects against invasions of damp, cold, heat, and other pathogens the Chinese have identified that can creep into the body and disrupt the natural balance. Although there are many routes that these pathogens can enter into the body, seasonal changes usually carry them in with a draft, or what the Chinese name Wind. That is often why people immediately know that they will soon be coming down with a cold even before symptoms have appeared because of a sudden cold draft that caught them. What has occurred, according to the TCM paradigm, is that cold has penetrated the body, if the weather was chilly for instance, with the assistance of a wind that hit an uncovered part of the body. Commonly the most sensitive area is the back of the neck and the head, named for this reason by the Chinese as the Gate of Wind. If during this attack the Wei Chi was not functioning at par and became compromised due to some of the reasons mentioned above, it may allow for the pathogen to enter the body and produce effects in accordance with its nature. For example, if it was heat that was carried into the body with the wind (called wind-heat), like many summer “colds” people get, heat symptoms may predominate, such as painful throat, red swollen tonsils and yellow mucus. On the other hand, a cold predominating attack (called wind-cold) would have symptoms of itchy throat, sneezing and clear-watery mucus. Can Echinacea prevent a cold? Before the point that pathogens enter the body people can take preventative measures to strengthen the resistance of their Wei Chi, or in other words “boost the immune system”. Many herbs have been touted for their immune boosting ability lately, something that Modern medicine is just beginning to understand, but most often these herbs are not used properly. Echinacea, for instance, has been shown by well designed trials to increase immunity and prevent infection. However, this ability has not been proven to fight infections after the fact. Nevertheless, companies sell and people buy loads of Echinacea to help them recover over their colds. Using the TCM paradigm to understand Echinacea and other “immune boosters” however sheds a great deal more light on the issue of herbs and provides more effective ways to use them. Many herbs, according to the Eastern traditions, have specific energetic qualities. As discussed earlier, herbs that are now being introduced for increasing immunity are actually known for millenniums as herbs to increase Wei Chi. As such, they are perfect before the onset of a cold, but inappropriate to use afterward. The reasoning, from the perspective of the TCM paradigm, is that once a pathogen penetrates the Wei Chi layer, it has actually entered into the body past the first line of defense. Strengthening that layer then will only allow the pathogen to remain within the system for longer. That being the case, using Echinacea and similar herbs is actually counter-productive once the pathogen is already in the body. Instead, the more appropriate choice of herbs would be those referred to in the eastern traditions as herbs that open the exterior (or Wei Chi ) layer. They too will help boost the immune system according to the Western model and scientific trials, but only in the specific episode of catching a cold. Unfortunately, since these herbs do not perform any immune functions before the time the cold is caught, their immune system abilities are difficult to measure and thus unknown outside of the traditions that understand the concepts of energy. One herb, for example, that can help open the exterior if the pathogen was due to wind-cold is Ginger, or Zingiber Officianalis. It is a warming herb that literally drives out the cold not only by adding heat, but also by allowing a passage for exit through the Wei Chi layer. Similarly, a wind-heat condition can benefit from Peppermint, or Mentha Pepperita, which is the complimentary cooling herb to Ginger. Both of these herbs are safe and effective as teas for their specific wind-cold or wind-heat conditions respectively. They should be drunk up to six times a day with adequate rest. Understanding the energetic nature of herbs provides great insights into their usage that extends beyond the merely physical realm of Western physiology. Although some herbs can be effectively used to increase immunity before catching a cold, they would be misused if taken after a cold has come on. Knowing which botanical is best for a situation is the art and science of TCM. Trying to understand and explain the usage of herbs according to a Western medical model severely limits the vaster benefits that can be derived from them, as well as lead to their wrong usage. These are just some reasons that qualified herbalists should always be consulted before indiscriminately using any herb long-term. What herbs can safely be used? The safest way to use herbs on a regular basis is in small amounts in cooking, especially when used in time-tested proportions . Here (Change of Season Soup) is a therapeutic chicken soup that most everyone can relate to. 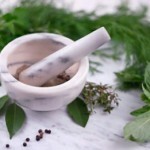 It is great start for those wishing to benefit from herbs in a traditional way.